You will earn 106 Reward Points. Earn 1 reward point for every 1 dollar spent. 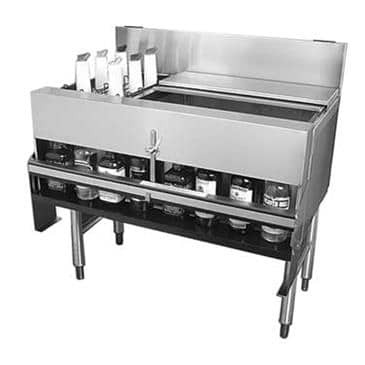 Long underbar skirt allows speed rails to mount low enough that bottles do not rise above deck surface and inhibit workflow.